[FONT=georgia,palatino]Sicilian Buttercups get their name from the cup-shaped comb on both males and females. 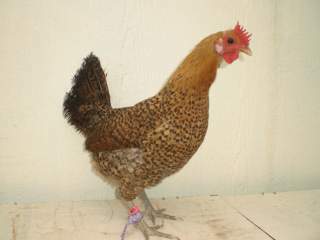 This breed is unusual for the different plumage on males and females, called sexual dimorphism. 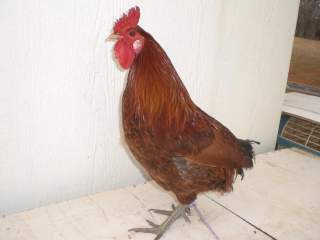 [FONT=georgia,palatino]Although they are named for the island of Sicily in the Mediterranean, the breed was actually developed in North Africa. It acquired the name from the English after birds were imported to England from Sicily. This old breed was admitted to the APA Standard of Perfection in 1918, in the Mediterranean group. I will be updating my Buttercup's pictures. My roo has regrown his tail.